Saying that the band could have been served better with this compilation is putting it mildly — then again, considering that the group had only released two albums and four singles before this appeared, arguably not much more could be done. Whatever the rationale behind the release, Collection consists merely of those four singles — "Forever Young" and "Big in Japan" from Forever Young, and "Red Rose" and "Dance With Me" from Afternoons in Utopia — each included in two versions, one short and one long, some new and some old. 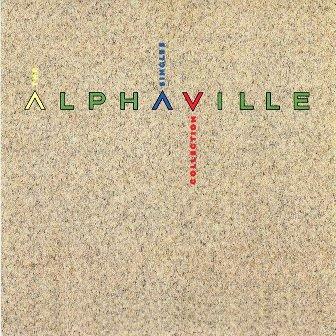 As a sampling of Alphaville at its best, it's successful if obviously repetitive. Some of the revampings are actually quite fantastic — the "special extended mix" of "Forever Young" transforms the dramatic angst of the original into a soaring, triumphant anthem, all without changing anything in the lyrics or its performance, while the album version also appears for contrast. "Red Rose" lets Marian Gold pull off his half-successful Bryan Ferry imitation over a not-bad-at-all soul/Eurodisco confection, while "Dance With Me" amps up the synth-pop beat giddily in both incarnations. "Big in Japan" is the other reason to be here, its cryptic tale of prostitution anchored to a slinky, pounding beat (and fretless bass, likely enough an homage to Japan the band) and blessed with a strong chorus. A brief Billboard article from the year of release composes the liner notes — while initially curious, it does explain how "Forever Young" in particular was a radio staple throughout much of the '80s for modern rock radio regardless of commercial trends, a neat bit of history to keep in mind whenever '80s music is dismissed out of hand. — Ned Raggett.